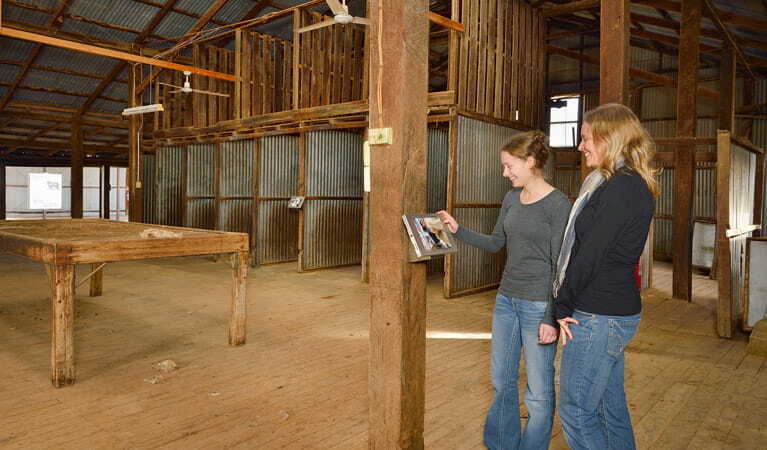 Take a self-guided tour of Yanga Woolshed in Yanga National Park. 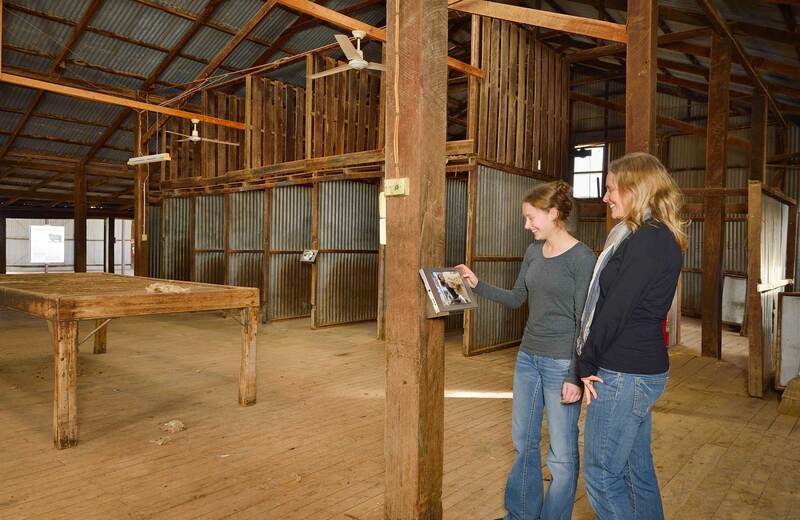 When constructed the Woolshed was once the Riverina’s largest, and offers an insight into Australia’s pastoral history. Yanga Woolshed is available for events and function hire. 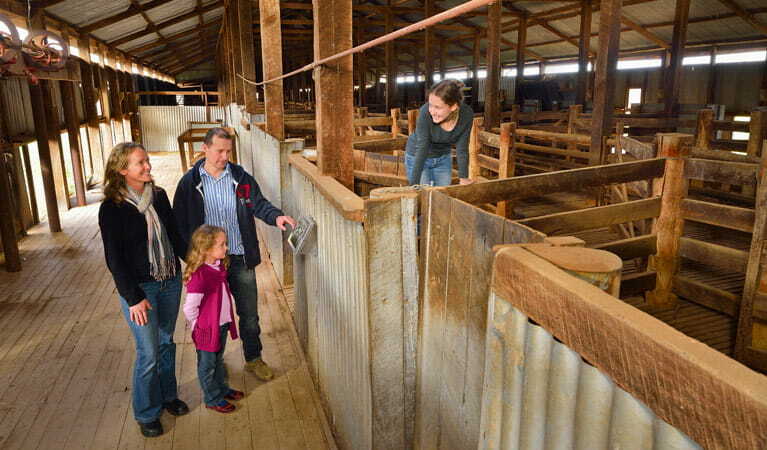 Water is not available at Yanga Woolshed. 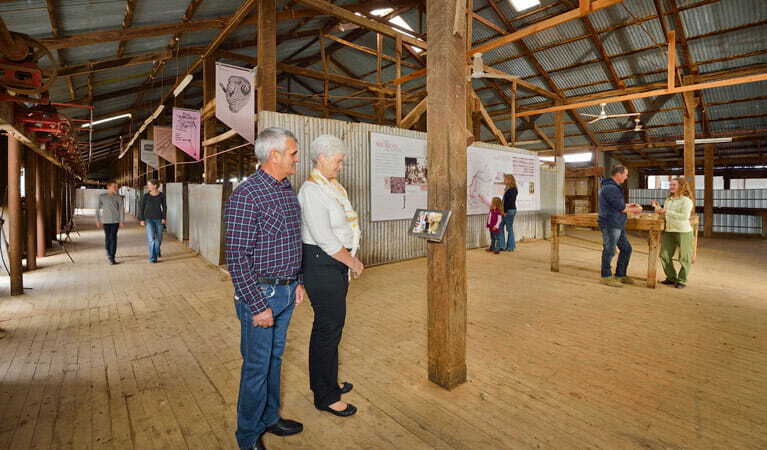 Today, the woolshed is in Yanga National Park, part of Murrumbidgee Valley National Park, and you can wander through it on a self-guided tour, exploring its runs and pens, getting a feel for an authentic 19th century woolshed and a taste of Australian history. 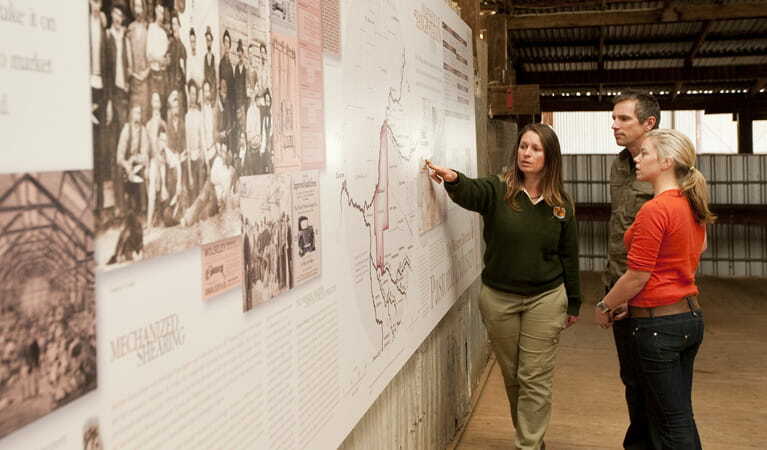 You’ll also find an interpretive display to fill you in on the history of the area – once Yanga Sheep Station. Close your eyes and breathe in the smells of the past, imagining the sounds of docked paddle boats outside, waiting to transport their wool cargo down the river highway. Don’t forget to check out the viewing platform for great river views; it was once where the old wharf stood. Pack lunch and visit the nearby Yanga Woolshed picnic area or stay overnight at Mamanga campground. Yanga Woolshed is also available for weddings and private functions.